Hummer TGF is a robust chassis with excellent finishes and features which can incorporate practically any type of build thanks to its generous dimensions and impressive cooling system. 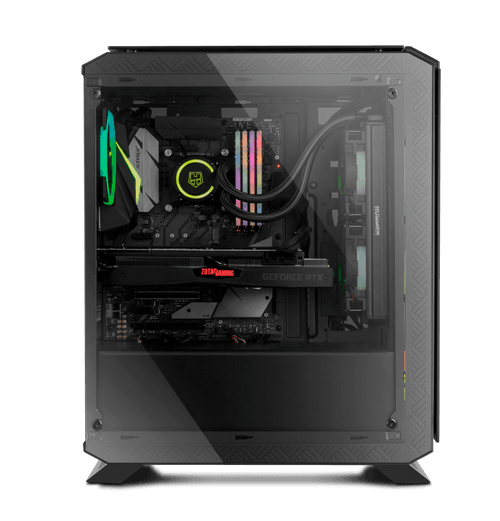 It’s been designed with 4 tempered glass panels; the two side panels, and the front and top panel, giving it an understated finish. This also allows you unlimited possibilities in the interior, meaning you can enjoy seeing all your components illuminated. The front panel of the Hummer TGF has been designed with top-quality tempered glass, as have the side and top panels. The top panel incorporates two USB 2.0 ports, two USB 3.0 ports, the audio connections, a button to control the RGB of two fans, and another to control fan speed. The spacious interior allows for an efficient and comfortable build. 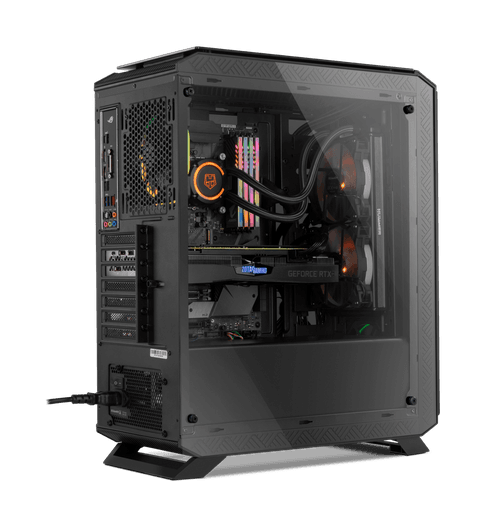 Firstly, because it comes with a lower compartment for the PSU and hard discs which, as well as a tidy assembly, helps us to maintain the PC’s interior temperature at optimum levels. 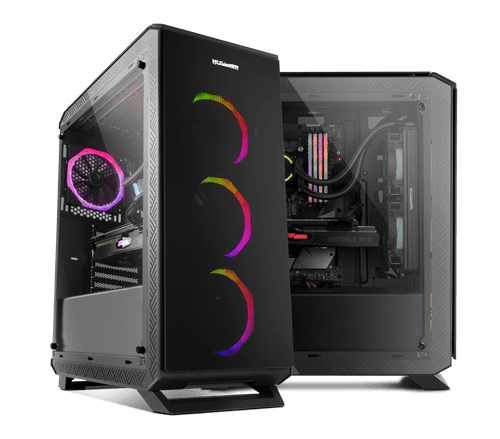 Secondly, the Hummer TGF boasts enough space inside to assemble your rig comfortably and manage all the cabling in an organized way, once again contributing to improved air flow inside your PC. Inside the Hummer TGF there is the possibility of installing liquid cooling systems with 240mm or 280mm radiators in the front and side panel, or of 120mm or 140mm in the back panel. To efficiently cool all the components of your build, the Hummer TGF comes with the capacity to install up to six fans. 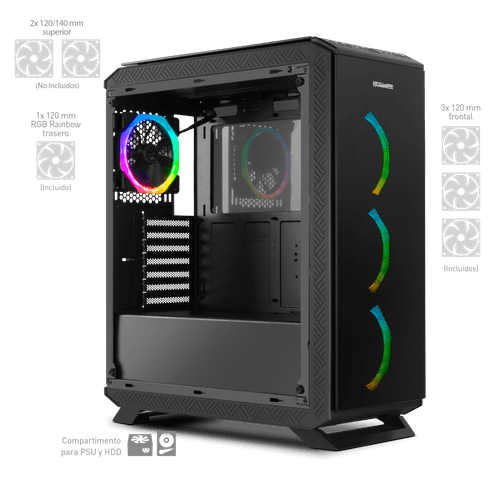 Three 120mm fans with RGB Rainbow are included on the front panel, and one of 120mm with RGB Rainbow on the back panel, but it’s also possible to install two of 120mm or 240mm on the upper panel. 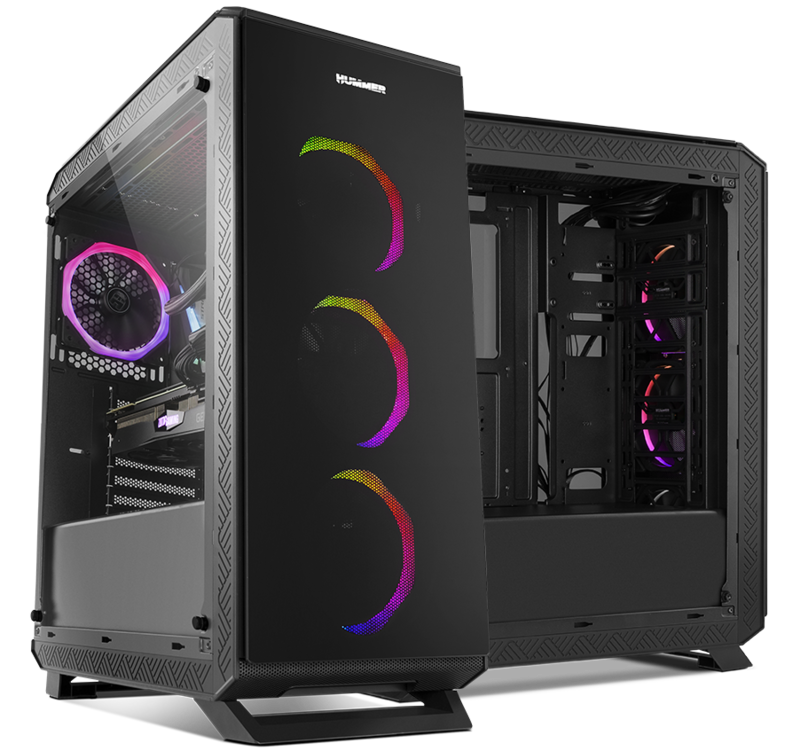 In addition, this chassis features grills on the front panel that allow cool air to flow into the interior of the PC, which is then expelled through the upper grills. Hummer TGF has been designed with multiple storage options: you’ll be able to install two 3.5” HDD on the base and two 2.5” SSD on the side panel. 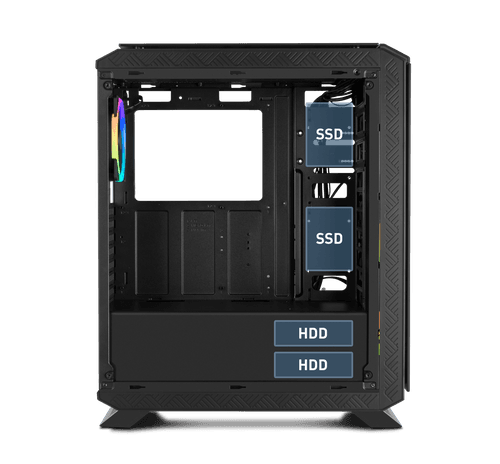 In addition, you’ll be able to incorporate a high performance set-up given that there is space for graphics cards of up to 370mm and coolers up to a maximum height of 17mm. Power supply isolated from the rest of the components. High quality tempered glass on the side, front and top panels. Easy access I / O ports on the top panel. 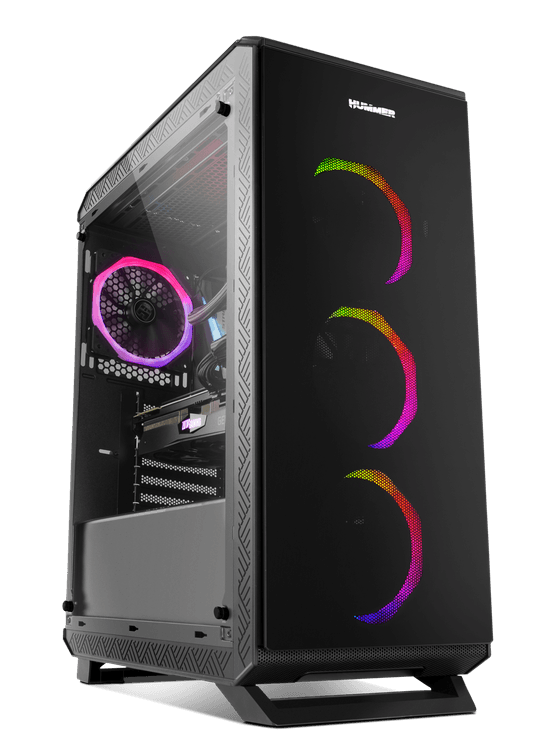 Three attractive 120 mm RGB Rainbow fans included on front of the chassis. Option to install a high level cooling system.